Fritzing may be considered the comic sans of EDA tools, but it is often the tinkerer’s first experience of designing and documenting breadboard experiments. Even for the experienced, Fritzing can often be the quickest and easiest route to a simple schematic or design. If you’ve joined the Boldport Club and have a Cuttle microcontroller (project #6), I have a New Year’s gift for you! 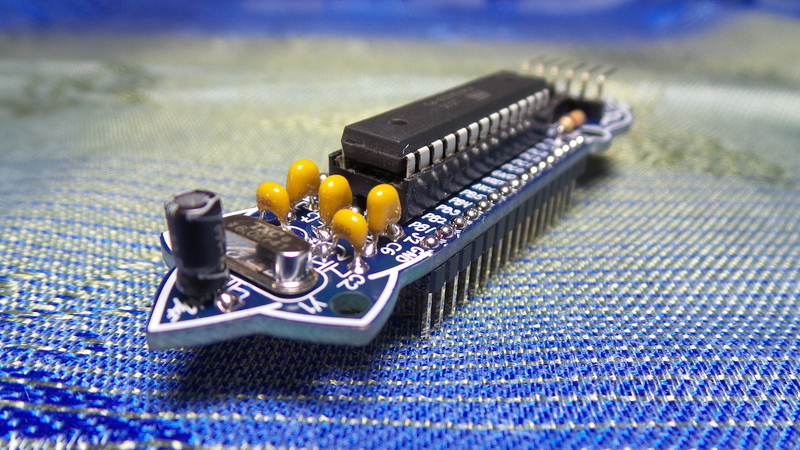 As part of working through the many projects I now have in the LittleArduinoProjects collection, I’ve ended up creating a few custom Fritzing parts. Although Fritzing appears stuck in a perpetual 0.9 beta rut, and the parts designer is a bit of a mystery, it turns out there is enough help and documentation around to make building custom parts a reasonably straight-forward task. All the parts I’ve created are available in the LEAP#223 Fritzing Parts collection. Most recently, I made a part for the Boldport Cuttle - which I still maintain is the most beautiful Arduino-compatible board of all time! The Cuttle is a great project available to Boldport Club members, and if you want to use it for breadboard prototyping then a Fritzing part might help, yes? Since Saar has open sourced the design files, building a part was quite easy. If you just want the part, check it out. Don’t have a cuttle? Just join the Boldport Club and kits are still available for backorder.